Medium capacity, easy to use, works well. 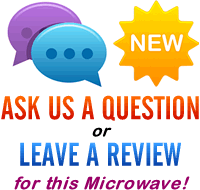 No real issues - our testers liked this microwave. Inside you'll find a 24.5cm glass turntable, which can be removed for cleaning, and should accommodate the majority of larger dishes. Overall the capacity is a claimed 20 litres, making this ideal for a small to medium sized household. It provides 700w of power when using the highest setting - of which there are five in total - which are adjusted by the controls situated to the right hand side of the microwave. The digital display is clear to read, and the controls are easy to operate - none of our testers experienced any issues when operating this microwave. It cooked fast and efficiently - with no cold spots or uncooked areas - so far so good! The timer goes up to 60 minutes, which should be enough for the majority of users, and the build quality of the microwave is pretty good - no issues here. The white Akai A24005W works well, is very easy to operate and looks smart. It's pretty well constructed too. 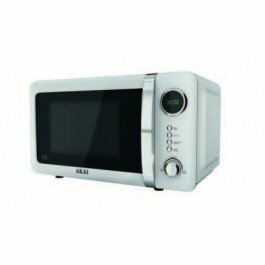 If you're looking to buy a solid and reliable white microwave oven, then the A24005W is worth looking at.